Yes, your office needs a clock and we've got a great selection put together just for you. 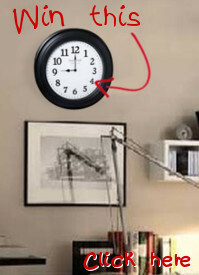 Maybe you've got wall space for a nice office wall clock, or a little corner on your desk waiting for an office desk clock. Or perhaps that shelf would look great with a nice clock sitting there. Take a look through all of our office clocks and you'll find something you love that's not only a reliable business tool but a comforting addition to your environment.